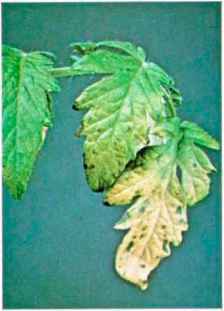 botrytis cinerea Commonly known as grey-mould disease, Botrytis is a fungus that attacks a wide range ot plants, particularly 111 coid, wet spells. 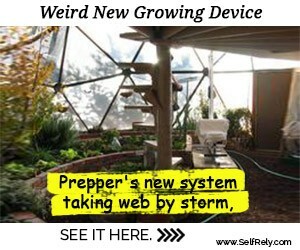 It usually gains entry through damaged plant tissues, and it is a particularly troublesome source of damage to overwintered crops in unheated and cool greenhouses. As its name suggests it develops a fluffy grey mould on the infected plants, it is best prevented by keeping the foliage and stems of plants dry when the temperature is low and keeping air on the move. Fan heaters are good aids to Botrytis control, as are sprays of certain systemic fungicides, which are absorbed by the plants' tissues and protect against disease. arc no known means ot cure available to the amateur gardener, and any plant considered suspect should be isolated and removed for burning. An exception to this is the tomato plant, which is prone to a virus disease when at about the third truss stage: with careful tending, however, tomato plants should survive this disease and go 011 to produce a reasonable crop. tomato leaf mould This is specific to tomatoes and is widespread. 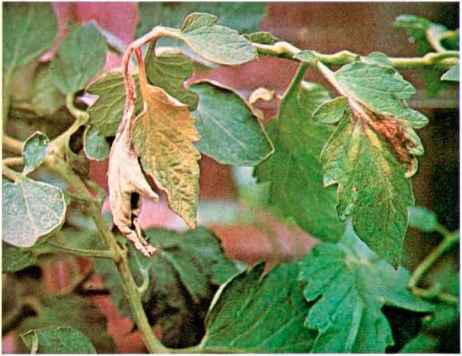 The symptoms are blotchy yellowing of the leaf surface in the early stages, followed by shrivelling and death. The disease is caused by stagnant, damp conditions brought about by insufficient movement of air in the greenhouse, and it can be particularly troublesome in polythene structures. Ensure movement of au overnight by leaving the vents open slightly during the summer months; this should prevent any steaming up of the greenhouse interior, root diseases Plants need a healthy, vigorous root system for optimum growth. Container-grown plants growing in modern composts rarely have root problems, and when they do it is usually caused by too much or too little water. On the other hand plants such as cucumbers and tomatoes grown in the same border soil year after year frequently have root problems caused by one or more of a number of root diseases. 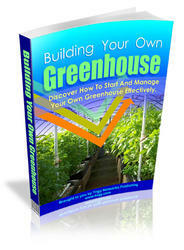 Affected plants wilt in periods of hot sun and most will ultimately die; curing them is difficult, it not impossible. Preventive measures include rotating crops in the borders, moving the greenhouse to a fresh site (often possible with polythene greenhouses), soil changing, and soil sterilization. 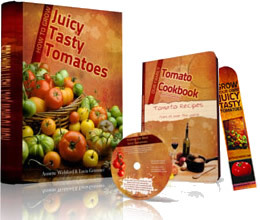 It none of these alternatives is possible, you would be well advised to grow your tomatoes and cucumbers in polythene growing bags, damping off A disease that occurs frequently among seedlings in pans and trays, causing them to collapse at the base of the stem. It may be prevented by using a sterilized compost and sterilized containers, by the use of appropriate fungicidal seed dressings, and by using the copper-based Cheshunt compound fungicide, watered on soon after germination and when transplanting seedlings.